For a lot of Americans, MLK Day is just a day off of work. For me, it’s a whole lot more. See, these two kids of mine already experience racism and discrimination on a consistent basis. I’ve witnessed it. I’ve been a part of it. Today, I hope we can all take a minute to be introspective about the state of our country and the way we treat our people. I don’t talk a lot about my educational research job or what drives my work as much as I should because it’s hard to talk about race. It makes people uncomfortable. They shut off the minute they feel discomfort or sense their ideals or power are being threatened. But today of all days, I want to acknowledge this lack of an open conversation about racism, inequities and discrimination in our society. I know it’s uncomfortable, I know it’s tough to question your beliefs or think you have anything to do with contributing to a system of oppression. But silence is violence. By not talking about race and racism, by not calling out people who display racist or sexist or discriminatory behaviors, we are all part of the problem. Do you remember the #metoo movement back in 2017? Well, that’s an example of how things can shift, ever so slightly, by using our voices. I shared my me too story because I wanted to be a part of the conversation. Writing that story was extremely hard for me. I felt very vulnerable. It was a secret I kept for 15 years. But by talking about it, I released it. I was able to have an open conversation with people and, most importantly, help other women. Race is an even tougher and more sensitive topic to discuss. I can’t tell you how many people I’ve met who don’t understand. They don’t think race is an issue in our country anymore because they don’t experience racism. Just because you don’t experience it doesn’t mean it’s not real. Just because it is not part of your daily life, doesn’t mean it doesn’t affect millions of other people in our society. I’ve been keeping a major secret, because it’s hard to admit, and I don’t want to make people angry. But it’s time. The reason we left Boston, most of all, was because it was by far the most racist place I’ve ever been. That’s saying a lot for how much I’ve traveled. People were outright shocked when I quickly found Boston wasn’t for me. Everyone told me what an amazing place it was – well, all of the white people I talked to. But that’s the thing. White people don’t experience racism on a daily basis, unless they are like me. When I was alone in Boston, of course I didn’t experience racism. Why would I? But the minute I was with my children, that’s when it happened. Being in Boston, my kids became way more aware of race and racism. They heard the questions; they saw the long stares. Sadly, they even started to believe white was somehow superior. They must have gotten that messaging somewhere. Clearly, it wasn’t from me. I’m not saying that moving to California will change any of that. It won’t. Racism exists everywhere. I don’t have all the answers, I struggle with this every day, how to instill cultural pride in my children when they are already getting messaging in society that white is somehow better. It’s not. 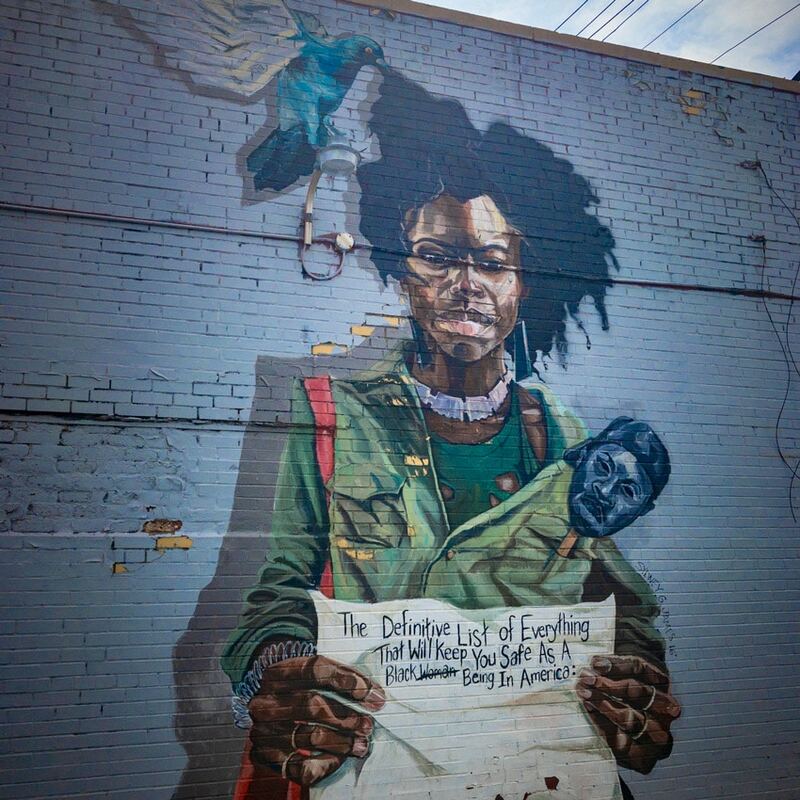 Color does not and should not matter. All I want is for a society in which my children are valued. A society where my children have the same opportunity as everyone else. A society where the color of their skin does not affect their life chances. MLK helped moved to needle, but even 50 years later, we still are not there. We’ve come a long way, but not nearly far enough. Today, I hope you’ll take just a few minutes to think about how you might silently be contributing to racism. Take some time to think about things you could do to help spread love and equality. We are all humans. Let’s spend time to support all of our people and spread love. Thanks for sharing this Stacey.. To be honest, I have heard a lot about this being true in the Boston area as well, but more importantly the point you make about being willing to listen to the experience of a POC even if you’ve never known it for yourself is critically important. Your children are beautiful as are you. Thank you 🙂 I appreciate you reading and commenting. I’m not sure I said enough, but it’s a start. Thank you for sharing this, Stacey. I currently live in Needham and, as the mom of an African American daughter, you hit the nail on the head. I look forward to reading more! Amy, I’m so sorry that you’ve had this experience as well. Thank you for reading. My heart hurts that you have gone through this. I would like to say I have never saw this but I have. Almost 20 years ago we were visiting my sister in Nashville we all went out to eat. The looks we got and we could see them talking about us, My sister did not take that and she let them know it. As my sister said the child was her grandchild and she didn’t care what color it was. Today besides a granddaughter she has a great grandson and they both have dark skin. I have a beautiful little great niece who is mixed and she is special to me. I would like to think/hope that she will never get the looks or hear the remarks. Today’s kids are the future! Thank you for your comment and sharing your story with me! Stacey – I too am a mother raising children in Boston. I follow your blog, and after reading your post I was filled with numerous feelings of remorse and angst. I’m sorry that your perception of my city was such a close-minded and self-fulfilling realization. 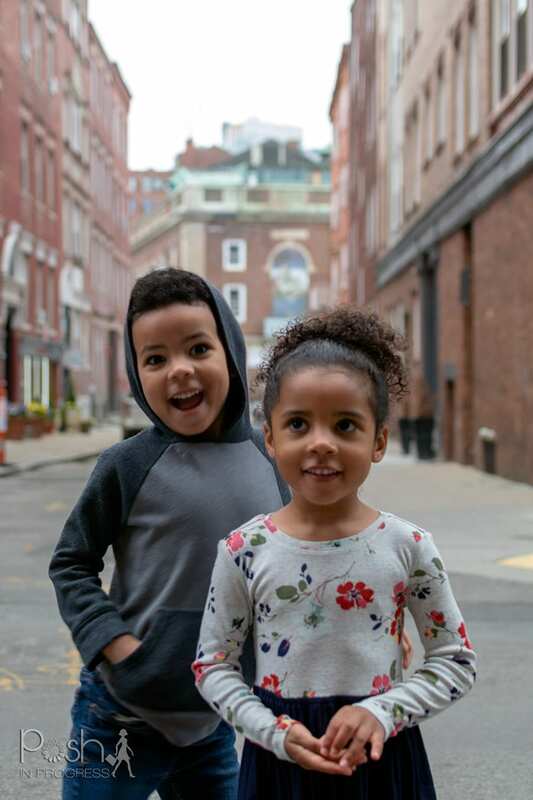 Shocking, because none of your other posts about the city mentioned this horribly invisible discrimination, and shocking because your children’s photo illustrates two young smiling faces on the wicked racist streets of Boston. I’m shocked at your children’s young age that they recognized the “long stares” unless they were pointed out to them. Children are taught racism. They are taught how to identify racial cues. Be a part of the change instead of the perpetuation. I feel that your diatribe was both insincere, in order to smear the city you left, as well as contrived, to produce a fictitious narrative to allow you to fill your blog space. I truly hope that future readers of your blog understand that some people will say anything to sell a product, even if it is themselves or their family. Shame on you. Thank you for your comment. I’m sorry that you interpreted my story as disingenuous, when it is actually the furthest thing from that. I went to great lengths in this story NOT to smear Boston, so much so, that I actually glossed over very real things that happened. For example, my kids were actually called the N word when I was with them – passer-bys, under their breath. Thankfully my kids are NOT aware of racism yet, and I do not talk about any of the things I noticed or witnessed or experienced with them, unless they ask. Instead, I spend a great deal of time trying to undo the microaggressions they are already experiencing and build confidence and self esteem in them. It makes me sad that you would think I would perpetuate a stereotype rather than take into consideration that I could be sharing my genuine experience in your city. I moved to Boston for a job, for a great opportunity. Not all of my experience was bad. I adore my co-workers and made a few great friends. However, there is overt and covert racism happening there, still. Yes, it happens all over the U.S. and world, but it was more apparent to me in Boston. I should not be shamed for sharing my personal experience and I am saddened that you are blaming me, the victim, rather than being introspective and considering that it, in fact, might be true.